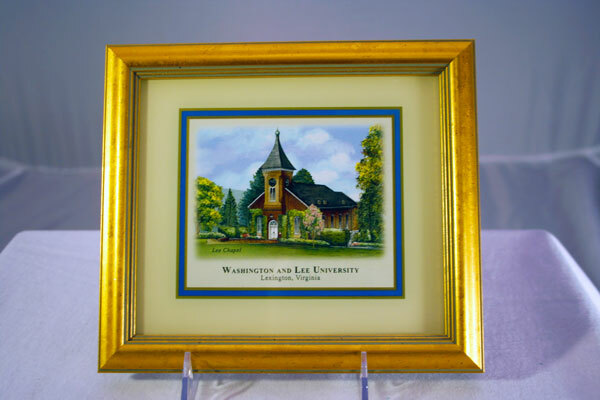 Beautiful "eglomise" color view of Lee Chapel in summer. Triple matted in a gold leaf frame. The images are handpainted on the reverse of the glass. Approximately 9" x 9". From Eglomise Designs.